As the 116th Congress begins, the First Five Years Fund has identified a preliminary legislative agenda for lawmakers to consider as they lay out their own policy priorities. In recent years, Congress has made historic progress on behalf of America’s youngest learners through important, bipartisan policy and funding advancements around early childhood education. As a result, more children from low-income families today have access to the high-quality early learning and care programs that are proven to prepare them for kindergarten and help them develop the skills they need for a lifetime of success. But with over 5.5 million American children under the age of six living in poverty, we know that Congress must build on its recent bipartisan momentum and double down in its work to ensure that no child’s circumstances at birth limit their ability to reach their full potential. As the 116th Congress gets underway, lawmakers should work across the aisle to develop meaningful early learning solutions that support America’s young children and their families. FFYF has identified three key areas through which lawmakers can advance early learning and care programs and initiatives: Budget and Appropriations, legislative authorizations, and new opportunities and solutions. Click here to see FFYF’s federal legislative priorities for the 116th Congress. Policymakers and their staffs, as well as early childhood education advocates, have an opportunity to showcase the progress that has been made for early learning and care in recent years, learn from their communities about the struggles families are facing, and discuss ways in which they can ensure greater access to quality early learning and care for America’s youngest learners. That’s why FFYF developed the Quality Early Learning and Child Care Toolkit for Congress and their staffs. This resource provides research and data behind the need for early childhood education and can also help lawmakers identify local engagement opportunities in their community. Download the Toolkit to access key facts, talking points, and more. With a divided Congress, voters see early childhood education as a rare, unifying policy issue– and they’re paying close attention to their lawmakers’ actions. 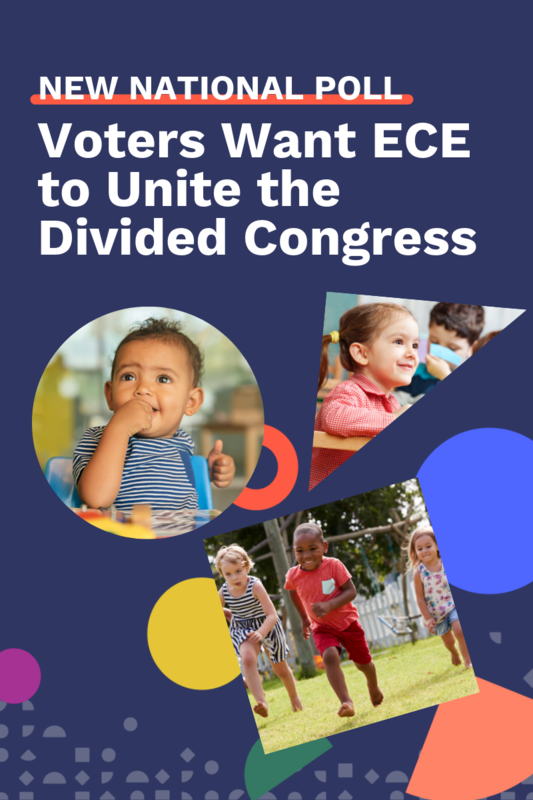 According to a new national poll commissioned by FFYF, voters say a divided Congress should have no bearing on lawmakers’ ability to pass meaningful legislation supporting high-quality early childhood education. In fact, Democrats and Republicans alike expect members of Congress from across the aisle to work together to get things done—and investing in early childhood education opportunities remains a rare issue that has strong support across parties. Voters are less interested in seeing partisans stand their ground than they are seeing them stand up for young children and their families. Click here to see the full results of our national poll. 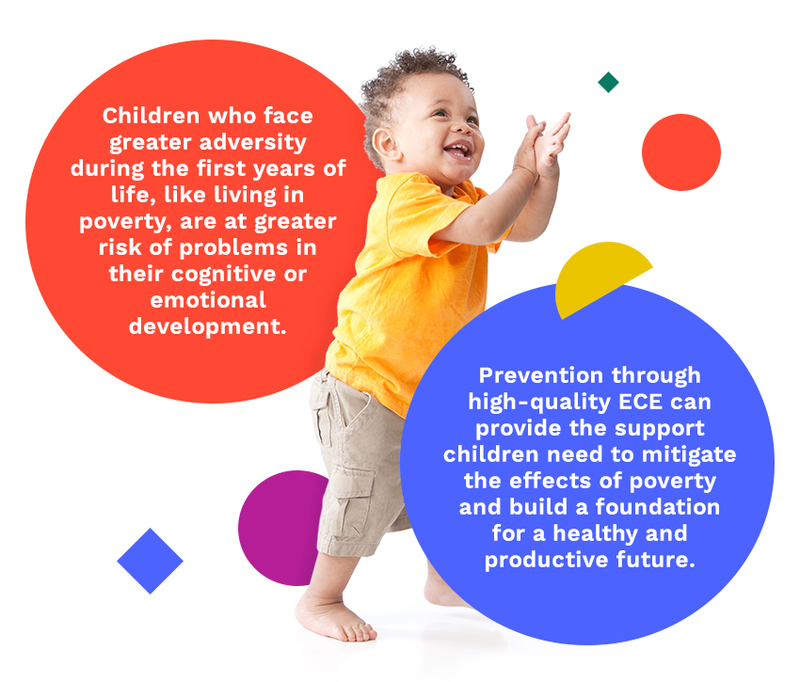 Check out the related resources below to learn more about why Congress should make high-quality early childhood education a top priority.